I think exercise is one of the most unvalued antidepressants. 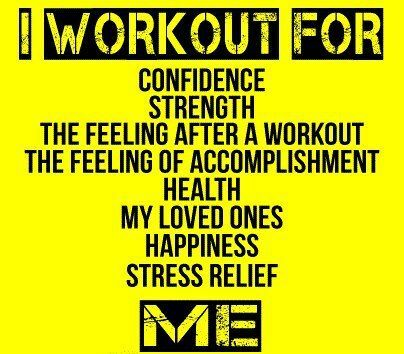 It is so important to workout on a regular basis and I cannot imagine a life without it. Scheduling my workouts is something that has priority over my clients because it helps me to stay healthy, happy and productive. I usually like to get my workouts in early in the morning but that’s not always possible. If it is not, I schedule time with myself throughout the day. I used to feel guilty about it but thankfully I passed that stage. Employees should not only be allowed to workout during the day, they should be encouraged to exercise. Exercise increases productivity and mental sharpness, and it will significantly improve the mood. People often don’t realize how important it is to be consistent. If it isn’t in your agenda, it’s not going to happen. If you are someone who is ready to become fit, I would like to give you a tip on how to get started with power walking or running without getting discouraged from the get-go. Don’t tell me that you can’t do 1 minute? It is so achievable, isn’t it? How can you stay motivated? Go with a friend / co-worker, join a running club, join a hiking group, get an Apple/Garmin watch to measure time and distance, download a running application to track your workouts, sign up for a short race. Being fit feels awesome. Life is short and you owe it to our family, friends and team members to be at your best. As a marathon runner I go the distance for my clients. What about you? Are you ready to ditch all your excuses?